In today’s challenging economy, it is more critical than ever to hire a full-time real estate professional who understands the market and is in it every day working for you. Buying a home is sometimes a complex undertaking. Hiring the right real estate professional will enable you to get results. Jim will work to determine your wants and needs, then help you find your dream home or sell your existing home in the Treasure Valley. His goal is to make sure your Idaho real estate experience is as stress-free and pleasant as possible. With his extensive real estate knowledge and experience, he can help you find or sell your home in a professional and timely manner. Jim has surrounded himself with a team of professionals to work with you and ensure you get the most from your next real estate transaction. Please contact Jim with any questions you may have about Boise and the beautiful surrounding communities. 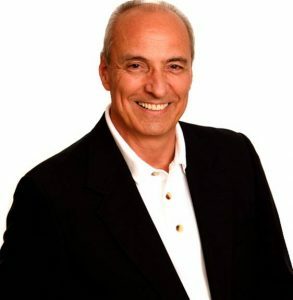 He is available to answer any of your real estate questions and provide guidance for making your next move successful. Jim truly understands what it takes to successfully help Buyers and Sellers with their real estate needs. It’s simple: Serving Others. You can be assured he will always provide service that goes beyond the sale! Jim and Linda moved to Idaho’s beautiful Treasure Valley in 1996 from the Great Lakes Region seeking a better quality of life for their family. They found here a place where they can enjoy countless outdoor activities as well as outstanding cultural venues. They immediately fell in love with the Idaho lifestyle. Jim decided the best way to use his extensive banking and sales background was helping others own a little piece of Idaho. He has an excellent knowledge of the market, outstanding negotiating skills and an intense desire to help others. Jim is a full-time Realtors® dedicated to serving the needs of his clients.